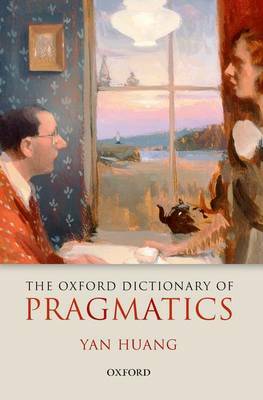 This dictionary provides a full and authoritative guide to the meanings of the terms, concepts, and theories employed in pragmatics. Pragmatics is a central subject in linguistics and philosophy and an increasingly important topic in fields such as cognitive science, informatics, artificial intelligence, neuroscience, and pathology. Its rapid development has produced new theories, methods, approaches, and schools of thought. These in turn have resulted in a vast vocabulary of new terms and in modified meanings for existing terms. Such terms help advance research and facilitate discussion, but they can also cause confusion and act as barriers to understanding and communication. Yan Huang defines and explains them all, from the most traditional to the most recent. Covering every branch of research and all theoretical approaches and with the needs of students and researchers firmly in mind he writes each entry in the simplest possible terms for the subject in question, gives references to relevant seminal and recent work, provides numerous cross-references to related entries, and shows how each term and concept is applied and used in different contexts. Written by one of the leading experts in the field, Professor Huang's dictionary will be a much valued resource for students and researchers in every aspect of the field.